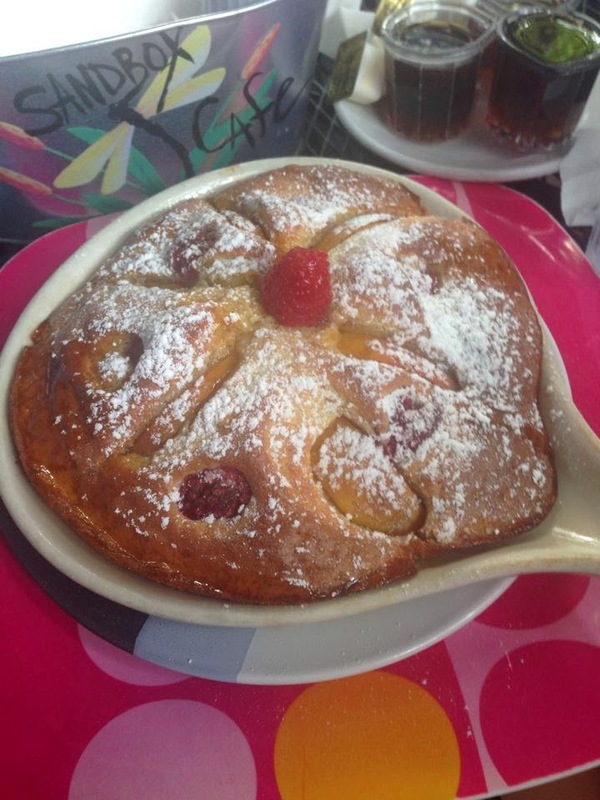 Peach & raspberry sizzler (baked pancake) from Sandbox Cafe in Ship Bottom, LBI. Onto the nails! 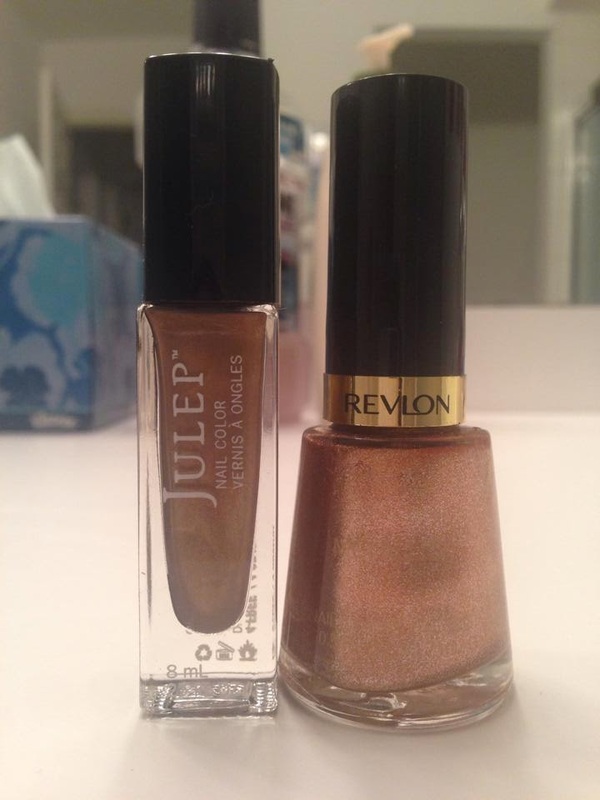 Today's mani features Julep Faye, described on Julep's website as a "liquid bronze shimmer." I did not think I would like this color at all when I saw it in the bottle. I completely changed my mind as soon as I applied two coats of it. This is a sophisticated, rich bronze/brown color. In photos Faye comes up lighter than it is in real life. I used Revlon Copper Penny for the dot accents.